In the face of unprecedented public dissatisfaction with the state of Lancashire’s roads. During a questions and answer session with leading finance and highways officers from the county about what has gone so badly wrong this year. Lancashire County Council Officers identified that over £6 million of highways revenue funding had not been spent this financial year 2017/18. This is on top of the £3 million which the Conservative administration has already accepted that they failed to spend on estate roads. It became evident during the meeting that the money would not be spent this year and there were no plans to spend the money next year. 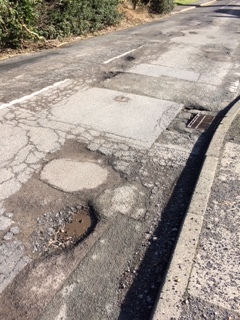 These figures were produced before last week’s freezing weather which will only added to the back log of pothole repairs.